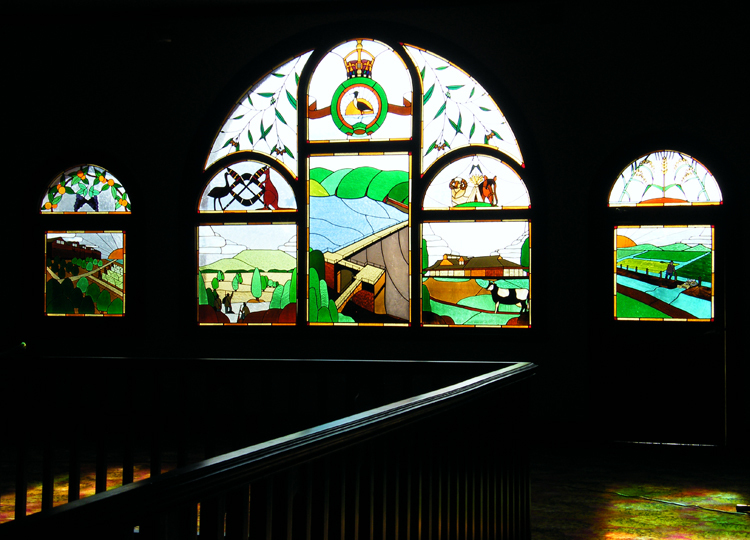 Completed on the 28th August 1919 as an accommodation house for senior and administrative personnel in the development of the Murrumbidgee Irrigation Area, the hotel was expanded and licensed in 1924 when prohibition in the MIA was repealed. Built by Andrew Eaton the Historic Hydro remains a wonderful legacy to the vision of these early pioneers of the area. A true Leeton landmark this iconic builing has survived the test of time and is part of the rich history of the MIA region. In the late 19th Century, Sir Samuel McCaughey proved how irrigation could change agricultural landscapes through irrigation works on his North Yanko property and demonstrated the capacity of the Riverina plains for intensive farming and opportunities for diversified crops and livestock. McCaughey used his position as a Member of the NSW Legislative Assembly (Upper House) to promote a large scale government funded irrigation scheme in the area and received encouragement from the findings of the Lynne Royal Commission into the conservation of water which handed down findings in 1885, 1886 and 1887. The cause gained momentum in the early 1900’s when engineer Hugh McKenny noted the similarities of the area to the Punjab region of India. A Water Conservation & Irrigation Conference chaired by the Minister for Public Works Charles Alfred Lee (for whom the town is named), paved the way for the Murrumbidgee Irrigation Area scheme, with Barren Jack (now Burrinjuck) Dam and the Murrumbidgee Canals Construction Act of 1906 providing the initial frame work. Nation building schemes gained new impetus in 1910 when the Labor Party won power at Federal level in April and also at state level in October. The Murrumbidgee Irrigation Act 1910 provided for the handing over and vesting of the completed works, to the Murrumbidgee Irrigation Trust. The Minister for Public Works Arthur Hill Griffith was appointed inaugural Trust Chairman in 1911. The Irrigation Act 1912 saw control for all water and irrigation works passed to a Commisioner for Water Conservation & Irrigation. The first commissioner, Leslie Augustus Burton Wade was appointed January 1st 1913. Wade was a civil engineer at the height of his career with a grand vision to create an oasis of prosperous farms operated by energetic families recruited from a worldwide campaign. Wades vision went beyond farming with new railways, businesses to handle and market produce, processing facilities and power generation all priorities. The crowning glory would be the new cities and towns that would be constructed. News that a young and gifted architect from Chicago had won the International design competition for Canberra was closely monitored by Leslie Wade. In August 1913 Walter Burley Griffin arrived in Australia and Wade saw an opportunity to put his vision into practice. Two urban designs were required. The town of Leeton, located on a part of the North Yanko property had already seen buildings erected and 140 town allotments sold on April 3rd 1913. There were also more ambitious plans for a city of 30000 further west named Griffith. Wade met Griffin in Sydney during his visit and communicated his desire for the architect to undertake some urban design work prior to his departure. Griffin was appointed Federal Capital Director of Design & Construction on October 18th 1913 and arrived back in Australia on May 9th 1914. Griffin was however inundated with the works in Canberra but continued to submit designs to Wade. Wade included in his annual report for 1914 that Griffins designs had been incorporated into the ornamental parapet of the Leeton water tower. 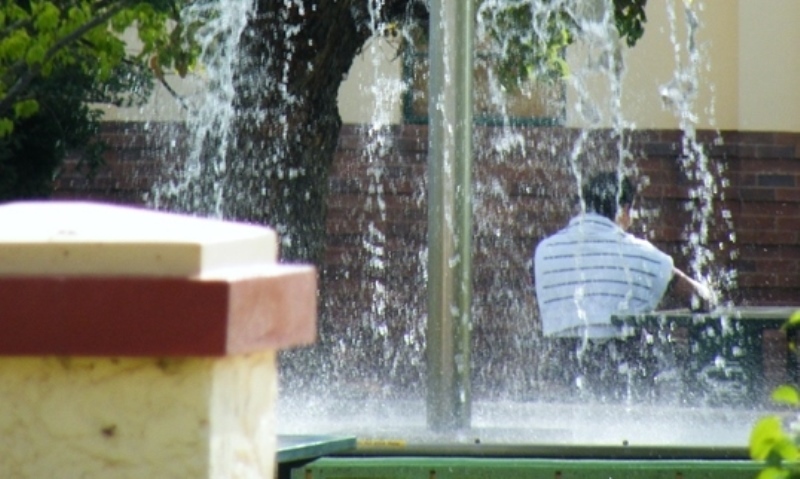 Fate dashed Griffins hope of implementing his plans for the Riverina plains. Leslie Wade suddenly took ill and died on January 12th 1915 aged 50. With his chief promoter gone and with the start of World War 1, enthusiasm for the grand scheme waned. 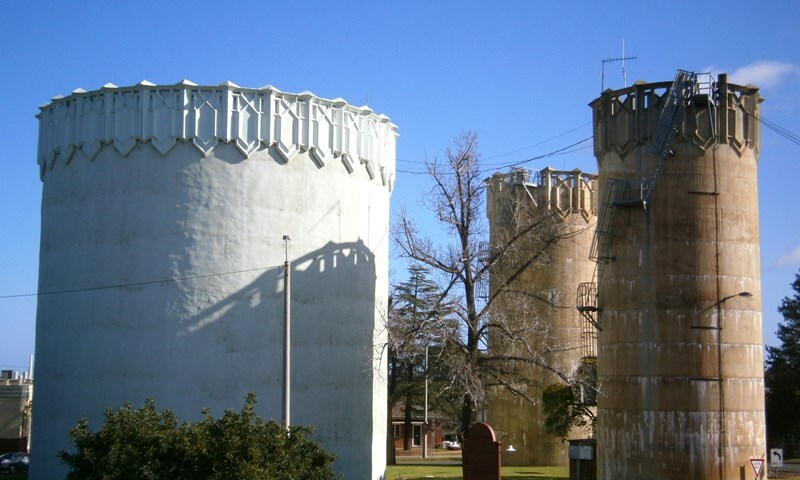 Leeton got its circular street patterns and water towers with classic Griffin features. Griffins road pattern was adopted for Griffith which was proclaimed in 1916 but these were merely the start of what Griffin and Wade had envisaged. Lee was Minister for Public Works in the NSW government from 1904-1910. Lee was also Chairman of the Water Conservation & Irrigation Conference which instigated the Murrumbidgee Irrigation Scheme, involving the construction of Burrinjuck Dam and the creation of the Murrumbidgee Irrigation Area. McCaughey was a pioneer in demonstrating the viability of irrigation in the region that became the Murrumbidgee Irrigation Area. 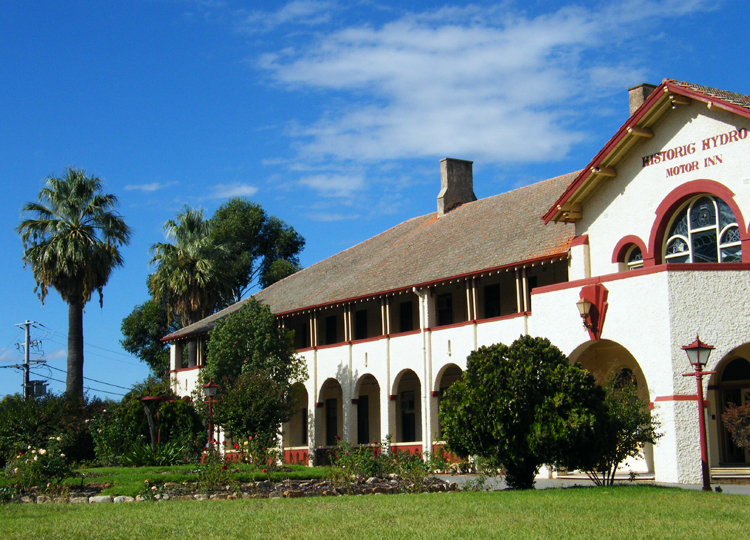 In 1899 he built the McCaughey mansion on his North Yanko property which is now part of the Yanco Agricultural High School. For his significant contributions to NSW he was knighted in 1905. Wade was Commissioner for Water Conservation & Irrigation. Wade had been a civil engineer with the Department of Works and was a key figure in the building of Burrinjuck Dam. Wade was a key figure in the creation of Leeton and Griffith and commissioned Walter Griffin for the town architecture. After winning an International Design competition for Canberra, Griffin was appointed Federal Capital Director of Design & Construction and arrived in Sydney in 1914. After resigning his post in 1920 Griffin established offices in Melbourne and had significant input into the designs for Leeton and Griffith. 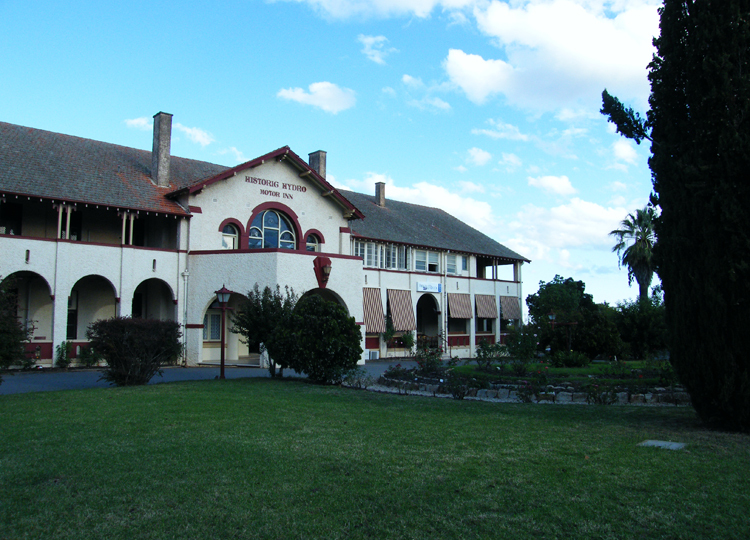 Poet and writer Henry Lawson lived in Leeton from January 1916 to August 1917. Lawson was employed to write positive articles regarding the MIA to help recruit families for relocation. Lawson struck up a friendship with J W Gordon AKA- Jim Graeme, whom many people believe was his inspiration for Jack Mitchell, one of Lawson’s most important fictional characters. In 1921 Bowmaker took up a block near Leeton under the Returned Soldiers Settlement Act 1916. Initially too small to be viable, farm sizes increased in the 1920’s and Bowmaker joined with others in successful experiments with rice farming. A founder in 1930 of the Ricegrowers Association of Australia and President in 1931 and again in 1952-64, he was also a member from 1931-1943 of the Rice Marketing Board. As the rice industry rapidly expanded in the 1940’s, Bowlamkers involvement increased. With the assistance of others he established the Rice growers Co-operative mills in Leeton in 1950. Despite opposition in Sydney to “hill billy farmers tampering in high finance” the mill prospered from the outset’ marketing the product as Sun White rice. Bowmaker remained a prominent figure and served on several Government committees involved in the industry. In 1965 he was awared an MBE for his distinguished contribution to the industry. Built in 1914 by the NSW Government as part of the Murrumbidgee Irrigation program, it was initially managed by the Water Conservation & Irrigation Commission. In the 1930’s the management came under heavy scrutiny by the growers. 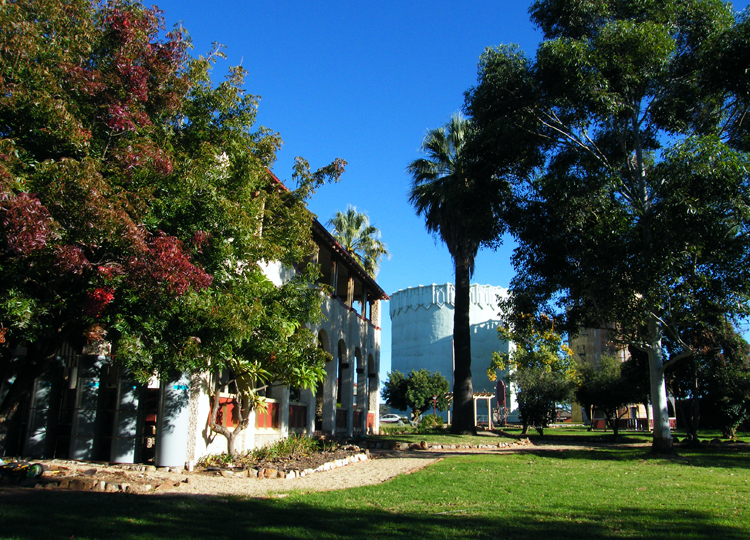 The WC&IC indicated in 1934 that due to poor results the cannery would be sold by 1937. George Enticknap, Chairman of the Australian Canning Fruitgrowers Association, worked with other growers to secure control of the cannery prior to the proposed date. The sale was swift and in April 1935 the sale was complete and an agreement was signed netween Leeton, Griffith and Yenda Fruitgrowers Associations. Jack Brady, who was already Manager at the Leeton State Cannery was appointed the first Manager of Letona to ensure a smooth transition.